The Michael B. Young Big Mountain Championships celebrate the life and enthusiasm of the very man who helped launch the annual competition. Michael’s relationship with BBSEF started in 1994 as a Mitey Mite. He soon became an accomplished alpine racer, freestyle skier and all-around Generator of Stoke. Snowmelt did not slow him down. He spent the rest of the year behind a boat and earned his first national water ski title at age 10. When Michael hung up his race skis, he joined the coaching staff and for seven years shared his love of skiing with up-and-coming BBSEF athletes. Every year, he spent days building and shaping the Gelande jump in preparation for the annual Coaches Cup Finale. Mitey Mites, coaches, parents and volunteers gathered to witness his legendary test runs. Not one to disappoint, he sent it in height and distance every single time - complete with an ear-to-ear grin. Michael loved to ski no matter the discipline. He and his father Barry Young started what is now BBSEF Freeride. Together, they revitalized the program and brought Big Mountain competition to BBSEF and Bogus Basin. Michael truly epitomized the happy, fun, athletic person that BBSEF is proud to call their own. Although his time with us was far too short, his infectious smile, work ethic and enthusiasm continue to inspire. We are honored to host the Big Mountain competition in his name. 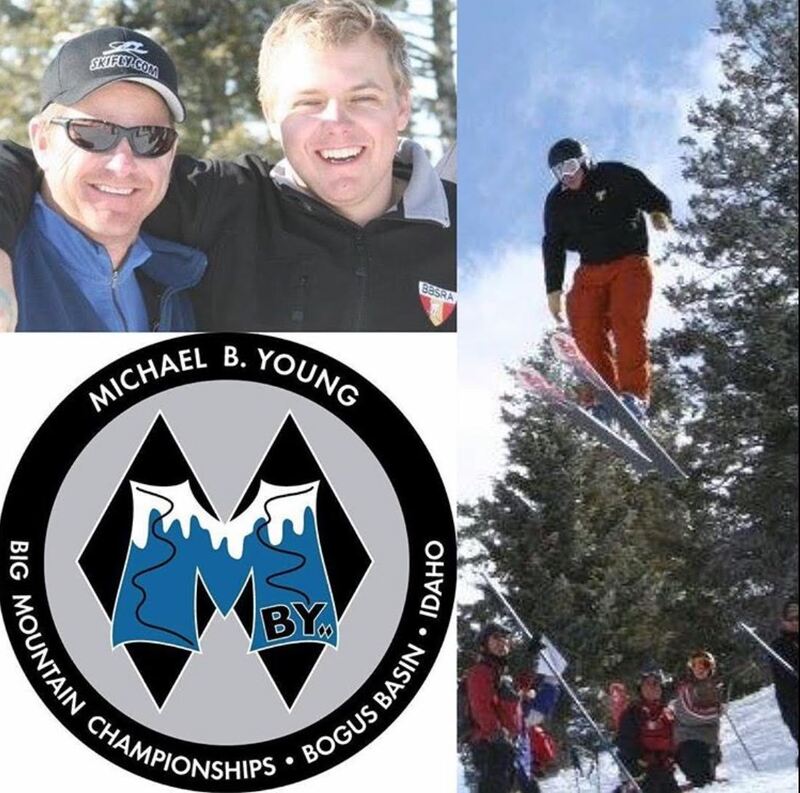 Join us at Bogus Basin Mountain Recreation Area for the stoke and stomp that Michael B. Young served up. LOCATION: Top of Chair 6, Skier's Right of Paradise. 2PM (tentative)………………Awards (in front of Jason Harper Training Center next to Pioneer lodge). Sunday runs will be seeded within each age division based on Saturday scores. Final score: Will be the best score from Saturday (if two runs are completed) combined with Sunday’s score. If only one run on Saturday it will be the combined with Sunday’s score for a total combined score. All skiers/boarders (including BBSEF members) who choose to compete MUST register for this event online.